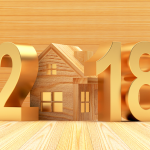 2018 is shaping up to be a great year to purchase a home. With mortgage interest rates still hovering at historic lows, the overall cost of home-ownership is relatively low. Home prices have come back since the real estate bubble burst in 2008 – and has seen consistent growth, fueled by extremely low interest rates on home purchases. With the economy raging and the federal reserve looking at raising rates to avoid inflation – there has never been a better time to purchase a home. Most people are aware that the cost of home ownership is affected by mortgage interest rates — just not to the extent that it actually is. The difference in the rise of your mortgage rate by 1 percent — has a tremendous effect on how much your home costs. Many people think that negotiating the sales price on a home down by $5,000 is a huge thing — but truth is, that $5,000 is dwarfed by even a small difference in mortgage rates. 2018 is shaping up to be a great year to sell your home. It may seem counter-intuitive that its a great time to buy AND a great time to sell. How can that be? It seems as if its a sellers market than its a great time to sell but if its a buyers market — it may not be the best time to list your home for sale. Truth is…its back to those interest rates! Currently, we see a good bit of demand for housing — many real estate markets have had a great year in 2017 based off of the local demand for housing. Even though home prices are expected to continue to increase; the increase in housing prices are minimal when compared to even a small increase in mortgage interest rates. If rates rise, even with the demand for housing, even the best real estate agents who are doing everything possible to increase your homes viability to sell — will have a hard time selling a home. At the end of the day, it all comes down to affordability. There are many factors that affect the cost of home ownership. When people are looking at moving from a renter to a homeowner, their overall monthly spend is what is looked at. That includes their homeowners insurance, mortgage interest, costs of upkeep taxes and maintenance. Same thing applies when people are selling their home to either downsize or get a bigger home. So regardless there is huge demand — the mortgage rates available make a huge difference in if people are buying homes — and at what prices they are buying homes at. With all of that said — with the current demand for housing coupled with the low interest rates — we think that 2018 is a GREAT time to either buy or sell. Once the mortgage interest rates go up (and most economist believe they will) it hurts for both the home seller and the home buyer. Many first time homebuyers are not aware that when buying a home you don’t simply need the down payment required by your lender and then make mortgage payments every month. There are many additional costs that come with home ownership that you don’t hear too much about, but you need to budget for them. Yes – its true that owning a home ultimately provides wealth and long term financial security. In addition, because of many of the tax benefits of owning a home, you may be better off from a cash flow perspective — as opposed to renting. That still done’t remove the fact that many other costs are associated with purchasing a home that little is said about. If you have chosen a good real estate agent or broker they have most likely went over most of this with you. Nonetheless, for those of you that are attempting to purchase your home without a real estate agent – you need to know this list. • Homeowner’s association fee – this applies especially if you live in a condo. • Mortgage interest – this is what your lender gets for lending you the money and it can vary depending on the size and terms of your mortgage contract. • Closing costs – under these are appraisal fees, attorney fees, title insurance, property transfer taxes and inspection fees. You should look at all the fees you are paying carefully to make sure that there are no hidden ones. Maintenance costs – you need to be able to maintain your home after you have bought it. Property tax – you will pay a little over $2,000 a year. Home insurance – this is in case of the loss of your home. Utilities – in the average home these come to about $3,000 a year. • Check on the condition of the roof. Roofs are expensive and if you buy a home that has an old one you will have to replace it at your own cost. When looking for a home to buy specify to your realtor that you are looking for one with a relatively new roof. • Be more about the structure than the other things. You may be put off, for example, by the color of the walls when in reality they are very sound walls. You can put a different coat of paint and transform the rooms to your liking. • Older homes tend to have heating and cooling problems so if you choose something old make sure that the air conditioning works properly. The plumbing also matters – check for leaks, water damage or mold. • The land that the home lies in also matters – if you buy a home that sits in an area prone to flooding, wildfires or other natural disasters you will be taking a huge risk. • Insulation is very important. If you buy a house that doesn’t have proper insulation you will freeze during the cold months. It will also cost you a lot of money to heat. Find out from the records the last time that insulation was done. • Check faucets, showers switches, locks and everything else to make sure that they work. These may look like minor details but if you buy the home and find out that they are broken you will have to fix them at your own expense. • Have a proper home inspection done by a professional. They are more thorough and they are able to point out problems that you may not have noticed. Lastly, make sure that you are working with a reliable real estate agent – they will make the process of buying a home a lot easier. It is not news to anyone that drug addiction goes hand in hand with crime. Not necessarily for the reasons that one may think. 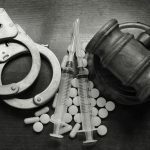 In most cases, it is not the drug abuser or the addict that is generally responsible for an increase in crime, it is the fact in which many drug dealers have to stay outside of the law to be profitable at their business. Understanding that there is a direct correlation between drug use and crime, one would think that the ability to rehabilitate an addict should reduce crime. By this rational, having a rehabilitation center located close by should be a positive for crime statistics. Fighting the addiction problem directly can be the best solution. There are many benefits of drug rehab programs and plan centers. In fact, these venues can help you deal and overcome all your addictions. Rehabilitation center services also feature inpatient rehab, which allows you to receive professional guidance, counseling and medication services. You also get to participate in individual and group therapy sessions – with leading doctors that are committed to helping you combat addiction. Whether dealing with drugs or alcohol, there is no shame in looking or asking for help. In fact, you are taking a brave step towards bettering yourself and your health for years to come. Whether dealing with alcohol addiction or substance abuse, outpatient rehab centers are committed to helping you get your life. Outpatient services do not require patients to stay in treatment centers for days or weeks. Instead, they are free to participate in counseling programs, along with individual and group therapy sessions. Patients get to learn about the origins of their addictions, along with how to control their emotions and temptations. From outpatient to inpatient, drug rehab centers feature compassionate and caring physicians and staff. They are simply committed to helping you cope and overcome your addiction. They will never judge you and are part of a team that understands all types of additions and physical – mental – physiological symptoms and issues. From drugs and alcohol to anxiety and depression, finding the right rehab center does not have to be hard. Many rehab facilities focus on one specific aspect of addition. With the rise of opioid addiction, we have seen many rehabilitation centers focus on fighting opioid addiction. Some have a focus on alcohol, benzodiazepines or cocaine and some even focus on doctors who have found themselves addicted. Loved ones can be a great asset in getting help with addiction. Its not always easy, but you can reach out to family members and friends for help. They are your support and will always love you no matter what. Educating and informing you on the best ways to avoid alcohol, drugs, tobacco or other harmful substances. Teaching you how to love yourself, while reconnecting with your body, mind, spirit and soul. Embracing your beliefs, ethics and morals – never judging you – and helping you become a strong-minded and independent person that will no longer need “crutches” to combat daily trials and tribulations of life. Helping you improve your health with proper eating habits, rest, activities, and staying positive even in the most negative situations! Everyone wants to insure the value of their personal real estate continues to grow at reasonable rates. There are hundreds of things that can affect real estate values. One thing that can change the value of your real estate in Bethel Louisiana is the crime level. Although homeowners have control over some aspects of their property value, such as updates, maintenance, landscaping, paint and other aspects of the home, the local crime rate in Bethel may have more of an effect that all of the previously mentioned upgrades. In many instances, when a major, high profile crime happens in 71450 and makes the news, property values almost immediately go down. Over the course of time, if a crime rates spike in Bethel you will see a steady decrease in the local property values. In some instances, the true crime rate in Bethel may stay unchanged, simply the fact that the news is reporting on local crime in Bethel can still bring a reduction to real estate property values. Perception of the crime rate in Bethel can play just as strong a role in home values as the actual crime rate. Most people are not aware of the actual crime statistics but simply take word of mouth and news reports to come up with their own idea of how bad the crime is in Bethel. Does Low Crime Equal Increased Property Value? It goes to reason that if the crime rate in Bethel is bad and negatively affecting property values, a low crime rate should increase property values. Although this may be true over the long term, simply the reputation of Bethel crime is actually more important. If the city of Bethel has recently hired new officers or increased police patrols in 71450 that will most likely not have the inverse affect of increasing property values. It can take years for a specific city, area or subdivsion to overcome the negative stigma of being “high crime”. In the most dramatic of examples, simply the fact that some media reports on an elevated police presence in Bethel could also lead to devaluing property values. Even with the lowering crime rate, the fact that additional police presence was needed is what the general public remembers. Where Do Real Crime Rates Come From? Crime statistics are derived from a variety of places. In addition, several methods for measuring crime are used. This can cause some confusion in the actual crime rate. The most widely accepted method for collecting data on crime in Bethel is from law enforcement reports. When a crime takes place in Bethel and the police are called to a scene, a report is filled out. Those reports get tallied and organized by the offense. In Bethel, we even categorize crime reports by violent crimes or non-violent crimes. Although major offenses such as homicide and armed robbery make the news and get tallied more accurately, lesser crimes sometimes go unreported and undocumented. Everyone wants to insure the value of their personal real estate continues to grow at reasonable rates. There are hundreds of things that can affect real estate values. One thing that can change the value of your real estate in Chalmette Louisiana is the crime level. Although homeowners have control over some aspects of their property value, such as updates, maintenance, landscaping, paint and other aspects of the home, the local crime rate in Chalmette may have more of an effect that all of the previously mentioned upgrades. In many instances, when a major, high profile crime happens in 70043 and makes the news, property values almost immediately go down. Over the course of time, if a crime rates spike in Chalmette you will see a steady decrease in the local property values. In some instances, the true crime rate in Chalmette may stay unchanged, simply the fact that the news is reporting on local crime in Chalmette can still bring a reduction to real estate property values. Perception of the crime rate in Chalmette can play just as strong a role in home values as the actual crime rate. Most people are not aware of the actual crime statistics but simply take word of mouth and news reports to come up with their own idea of how bad the crime is in Chalmette. It goes to reason that if the crime rate in Chalmette is bad and negatively affecting property values, a low crime rate should increase property values. Although this may be true over the long term, simply the reputation of Chalmette crime is actually more important. If the city of Chalmette has recently hired new officers or increased police patrols in 70043 that will most likely not have the inverse affect of increasing property values. It can take years for a specific city, area or subdivsion to overcome the negative stigma of being “high crime”. In the most dramatic of examples, simply the fact that some media reports on an elevated police presence in Chalmette could also lead to devaluing property values. Even with the lowering crime rate, the fact that additional police presence was needed is what the general public remembers. Crime statistics are derived from a variety of places. In addition, several methods for measuring crime are used. This can cause some confusion in the actual crime rate. The most widely accepted method for collecting data on crime in Chalmette is from law enforcement reports. When a crime takes place in Chalmette and the police are called to a scene, a report is filled out. Those reports get tallied and organized by the offense. In Chalmette, we even categorize crime reports by violent crimes or non-violent crimes. Although major offenses such as homicide and armed robbery make the news and get tallied more accurately, lesser crimes sometimes go unreported and undocumented. Everyone wants to insure the value of their personal real estate continues to grow at reasonable rates. There are hundreds of things that can affect real estate values. One thing that can change the value of your real estate in Evergreen Louisiana is the crime level. Although homeowners have control over some aspects of their property value, such as updates, maintenance, landscaping, paint and other aspects of the home, the local crime rate in Evergreen may have more of an effect that all of the previously mentioned upgrades. In many instances, when a major, high profile crime happens in 71333 and makes the news, property values almost immediately go down. Over the course of time, if a crime rates spike in Evergreen you will see a steady decrease in the local property values. In some instances, the true crime rate in Evergreen may stay unchanged, simply the fact that the news is reporting on local crime in Evergreen can still bring a reduction to real estate property values. Perception of the crime rate in Evergreen can play just as strong a role in home values as the actual crime rate. Most people are not aware of the actual crime statistics but simply take word of mouth and news reports to come up with their own idea of how bad the crime is in Evergreen. It goes to reason that if the crime rate in Evergreen is bad and negatively affecting property values, a low crime rate should increase property values. Although this may be true over the long term, simply the reputation of Evergreen crime is actually more important. If the city of Evergreen has recently hired new officers or increased police patrols in 71333 that will most likely not have the inverse affect of increasing property values. It can take years for a specific city, area or subdivsion to overcome the negative stigma of being “high crime”. In the most dramatic of examples, simply the fact that some media reports on an elevated police presence in Evergreen could also lead to devaluing property values. Even with the lowering crime rate, the fact that additional police presence was needed is what the general public remembers. Crime statistics are derived from a variety of places. In addition, several methods for measuring crime are used. This can cause some confusion in the actual crime rate. The most widely accepted method for collecting data on crime in Evergreen is from law enforcement reports. When a crime takes place in Evergreen and the police are called to a scene, a report is filled out. Those reports get tallied and organized by the offense. In Evergreen, we even categorize crime reports by violent crimes or non-violent crimes. Although major offenses such as homicide and armed robbery make the news and get tallied more accurately, lesser crimes sometimes go unreported and undocumented. Everyone wants to insure the value of their personal real estate continues to grow at reasonable rates. There are hundreds of things that can affect real estate values. One thing that can change the value of your real estate in Barnet Springs Louisiana is the crime level. Although homeowners have control over some aspects of their property value, such as updates, maintenance, landscaping, paint and other aspects of the home, the local crime rate in Barnet Springs may have more of an effect that all of the previously mentioned upgrades. In many instances, when a major, high profile crime happens in 71270 and makes the news, property values almost immediately go down. Over the course of time, if a crime rates spike in Barnet Springs you will see a steady decrease in the local property values. In some instances, the true crime rate in Barnet Springs may stay unchanged, simply the fact that the news is reporting on local crime in Barnet Springs can still bring a reduction to real estate property values. Perception of the crime rate in Barnet Springs can play just as strong a role in home values as the actual crime rate. Most people are not aware of the actual crime statistics but simply take word of mouth and news reports to come up with their own idea of how bad the crime is in Barnet Springs. It goes to reason that if the crime rate in Barnet Springs is bad and negatively affecting property values, a low crime rate should increase property values. 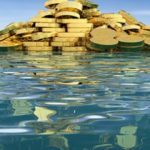 Although this may be true over the long term, simply the reputation of Barnet Springs crime is actually more important. If the city of Barnet Springs has recently hired new officers or increased police patrols in 71270 that will most likely not have the inverse affect of increasing property values. It can take years for a specific city, area or subdivsion to overcome the negative stigma of being “high crime”. In the most dramatic of examples, simply the fact that some media reports on an elevated police presence in Barnet Springs could also lead to devaluing property values. Even with the lowering crime rate, the fact that additional police presence was needed is what the general public remembers. Crime statistics are derived from a variety of places. In addition, several methods for measuring crime are used. This can cause some confusion in the actual crime rate. The most widely accepted method for collecting data on crime in Barnet Springs is from law enforcement reports. When a crime takes place in Barnet Springs and the police are called to a scene, a report is filled out. Those reports get tallied and organized by the offense. In Barnet Springs, we even categorize crime reports by violent crimes or non-violent crimes. Although major offenses such as homicide and armed robbery make the news and get tallied more accurately, lesser crimes sometimes go unreported and undocumented. Everyone wants to insure the value of their personal real estate continues to grow at reasonable rates. There are hundreds of things that can affect real estate values. One thing that can change the value of your real estate in Drew Louisiana is the crime level. Although homeowners have control over some aspects of their property value, such as updates, maintenance, landscaping, paint and other aspects of the home, the local crime rate in Drew may have more of an effect that all of the previously mentioned upgrades. In many instances, when a major, high profile crime happens in 70607 and makes the news, property values almost immediately go down. Over the course of time, if a crime rates spike in Drew you will see a steady decrease in the local property values. In some instances, the true crime rate in Drew may stay unchanged, simply the fact that the news is reporting on local crime in Drew can still bring a reduction to real estate property values. Perception of the crime rate in Drew can play just as strong a role in home values as the actual crime rate. Most people are not aware of the actual crime statistics but simply take word of mouth and news reports to come up with their own idea of how bad the crime is in Drew. It goes to reason that if the crime rate in Drew is bad and negatively affecting property values, a low crime rate should increase property values. Although this may be true over the long term, simply the reputation of Drew crime is actually more important. If the city of Drew has recently hired new officers or increased police patrols in 70607 that will most likely not have the inverse affect of increasing property values. It can take years for a specific city, area or subdivsion to overcome the negative stigma of being “high crime”. In the most dramatic of examples, simply the fact that some media reports on an elevated police presence in Drew could also lead to devaluing property values. Even with the lowering crime rate, the fact that additional police presence was needed is what the general public remembers. Crime statistics are derived from a variety of places. In addition, several methods for measuring crime are used. This can cause some confusion in the actual crime rate. The most widely accepted method for collecting data on crime in Drew is from law enforcement reports. When a crime takes place in Drew and the police are called to a scene, a report is filled out. Those reports get tallied and organized by the offense. In Drew, we even categorize crime reports by violent crimes or non-violent crimes. Although major offenses such as homicide and armed robbery make the news and get tallied more accurately, lesser crimes sometimes go unreported and undocumented. Everyone wants to insure the value of their personal real estate continues to grow at reasonable rates. There are hundreds of things that can affect real estate values. One thing that can change the value of your real estate in Schriever Louisiana is the crime level. Although homeowners have control over some aspects of their property value, such as updates, maintenance, landscaping, paint and other aspects of the home, the local crime rate in Schriever may have more of an effect that all of the previously mentioned upgrades. In many instances, when a major, high profile crime happens in 70395 and makes the news, property values almost immediately go down. Over the course of time, if a crime rates spike in Schriever you will see a steady decrease in the local property values. In some instances, the true crime rate in Schriever may stay unchanged, simply the fact that the news is reporting on local crime in Schriever can still bring a reduction to real estate property values. Perception of the crime rate in Schriever can play just as strong a role in home values as the actual crime rate. Most people are not aware of the actual crime statistics but simply take word of mouth and news reports to come up with their own idea of how bad the crime is in Schriever. It goes to reason that if the crime rate in Schriever is bad and negatively affecting property values, a low crime rate should increase property values. Although this may be true over the long term, simply the reputation of Schriever crime is actually more important. If the city of Schriever has recently hired new officers or increased police patrols in 70395 that will most likely not have the inverse affect of increasing property values. It can take years for a specific city, area or subdivsion to overcome the negative stigma of being “high crime”. In the most dramatic of examples, simply the fact that some media reports on an elevated police presence in Schriever could also lead to devaluing property values. Even with the lowering crime rate, the fact that additional police presence was needed is what the general public remembers. Crime statistics are derived from a variety of places. In addition, several methods for measuring crime are used. This can cause some confusion in the actual crime rate. The most widely accepted method for collecting data on crime in Schriever is from law enforcement reports. When a crime takes place in Schriever and the police are called to a scene, a report is filled out. Those reports get tallied and organized by the offense. In Schriever, we even categorize crime reports by violent crimes or non-violent crimes. Although major offenses such as homicide and armed robbery make the news and get tallied more accurately, lesser crimes sometimes go unreported and undocumented. Everyone wants to insure the value of their personal real estate continues to grow at reasonable rates. There are hundreds of things that can affect real estate values. One thing that can change the value of your real estate in Abita Springs Louisiana is the crime level. Although homeowners have control over some aspects of their property value, such as updates, maintenance, landscaping, paint and other aspects of the home, the local crime rate in Abita Springs may have more of an effect that all of the previously mentioned upgrades. In many instances, when a major, high profile crime happens in 70420 and makes the news, property values almost immediately go down. Over the course of time, if a crime rates spike in Abita Springs you will see a steady decrease in the local property values. In some instances, the true crime rate in Abita Springs may stay unchanged, simply the fact that the news is reporting on local crime in Abita Springs can still bring a reduction to real estate property values. Perception of the crime rate in Abita Springs can play just as strong a role in home values as the actual crime rate. Most people are not aware of the actual crime statistics but simply take word of mouth and news reports to come up with their own idea of how bad the crime is in Abita Springs. It goes to reason that if the crime rate in Abita Springs is bad and negatively affecting property values, a low crime rate should increase property values. Although this may be true over the long term, simply the reputation of Abita Springs crime is actually more important. If the city of Abita Springs has recently hired new officers or increased police patrols in 70420 that will most likely not have the inverse affect of increasing property values. It can take years for a specific city, area or subdivsion to overcome the negative stigma of being “high crime”. In the most dramatic of examples, simply the fact that some media reports on an elevated police presence in Abita Springs could also lead to devaluing property values. Even with the lowering crime rate, the fact that additional police presence was needed is what the general public remembers. Crime statistics are derived from a variety of places. In addition, several methods for measuring crime are used. This can cause some confusion in the actual crime rate. The most widely accepted method for collecting data on crime in Abita Springs is from law enforcement reports. When a crime takes place in Abita Springs and the police are called to a scene, a report is filled out. Those reports get tallied and organized by the offense. In Abita Springs, we even categorize crime reports by violent crimes or non-violent crimes. Although major offenses such as homicide and armed robbery make the news and get tallied more accurately, lesser crimes sometimes go unreported and undocumented.